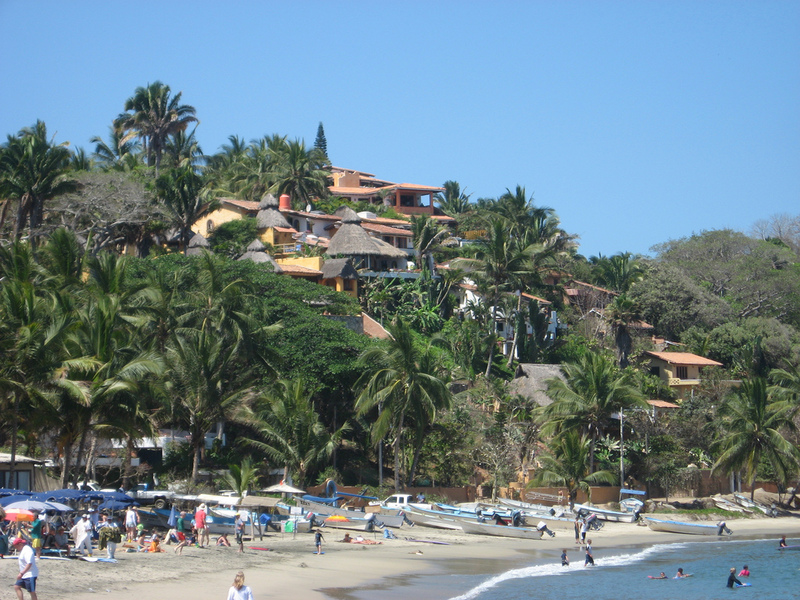 Sayulita is a funky mixture of easy going California surf culture, a dose of traditional Mexican heritage, a sprinkle of outdoorsy, affluent American tourists, and a sub-culture of Mexican artisans, traveling musicians, and backpackers from all over the world. 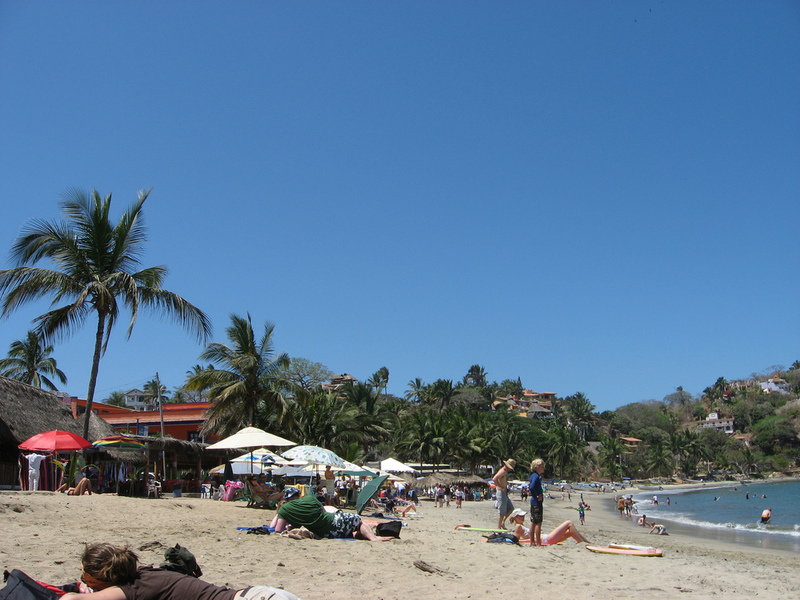 Sayulita features a beautiful clean beach in front of the village with consistent surf breaks and a modest level of foreign tourists. 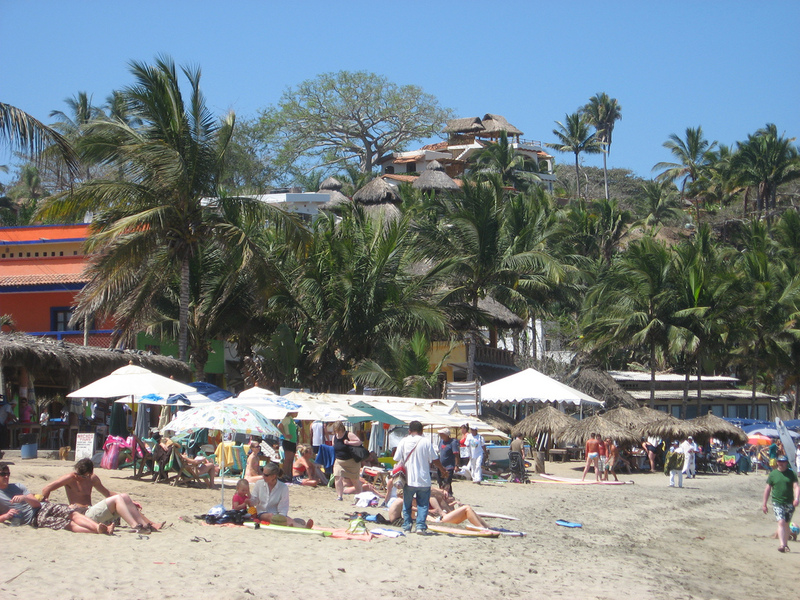 A little further up the beach and the crowds dissipate, leaving plenty of room for everyone. 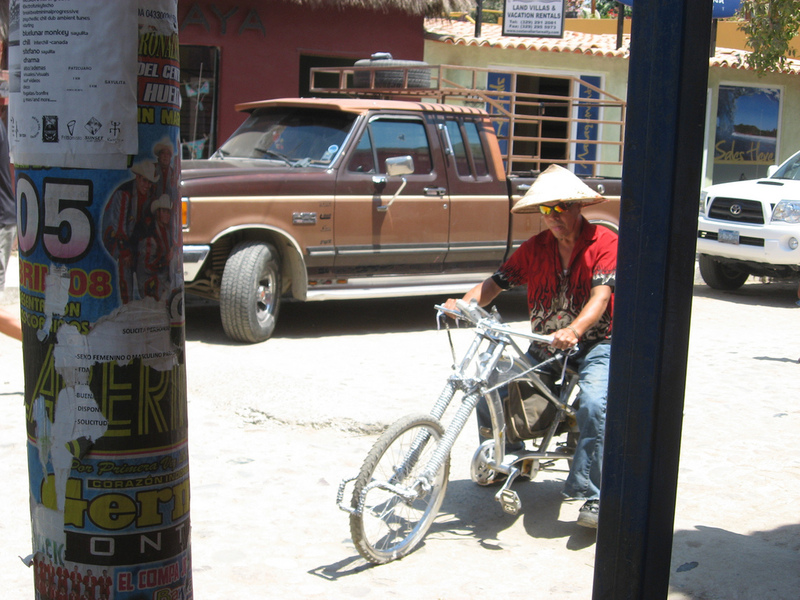 The locals in Sayulita are warm and seemingly appreciative of the foreign influence. The overall vibe of the place is reminiscent of Southern Cal in the 60s and 70s (not that I was there, but I can imagine!). Fine dining, live jazz, traditional Mexican music and even hip hop and break dancing all thrive here in small doses. Well removed from the highway traffic, the air fills with musical notes, children’s laughter and birds singing and squawking amongst the surrounding vegetation. 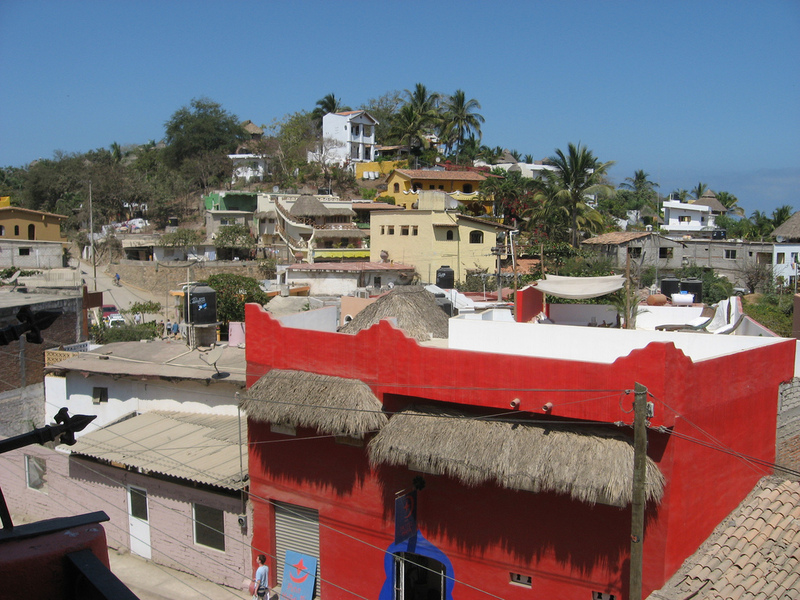 Sayulita is not as neatly pruned as more established beach resort towns, which lends to its charm. 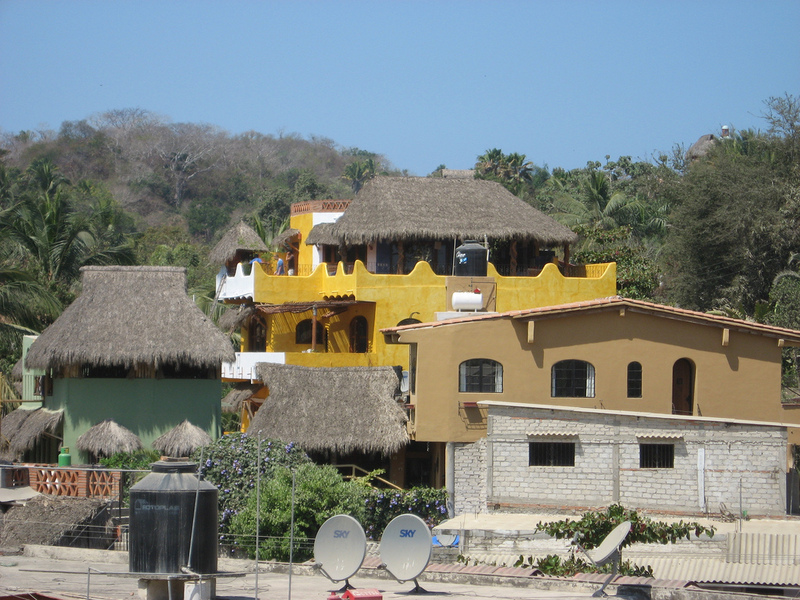 Stray dogs roam the town and ramshackle housing blends eccentrically with elegant boutique hotels. Espresso bars, taco stands, and cafes serving vegan wraps and organic burritos all compete successfully for tourist dollars. 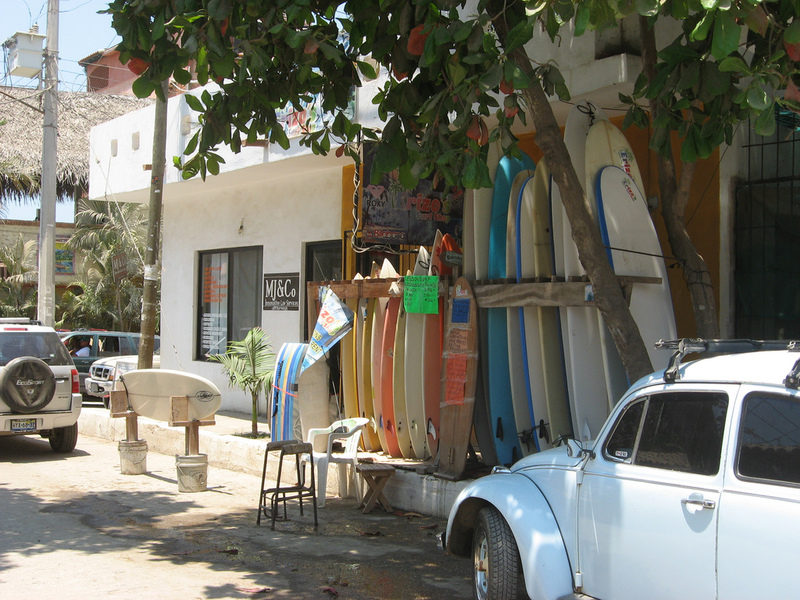 Sayulita is a fusion like none other. 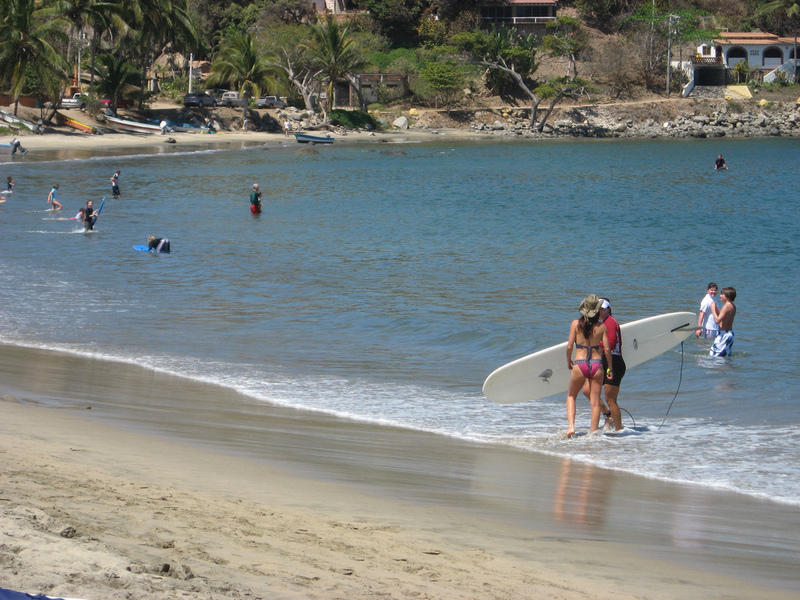 Like most of Mexico, tourism in Sayulita peaks in the winter months of December – April. Most tourists only stay for a few days, but there exists a core group of expats who live here for at least six months per year. 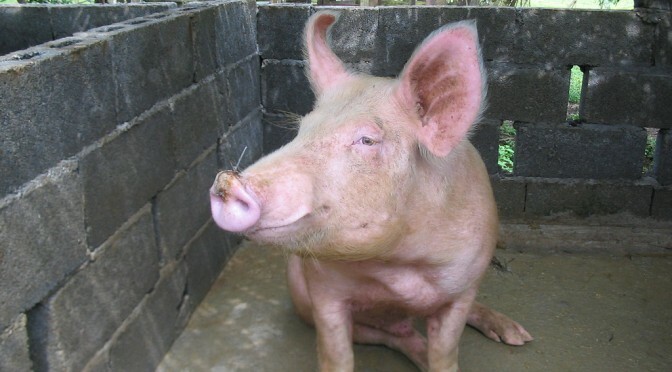 The whole area feels very safe. There are quite a few good restaurants with decent wine selection. 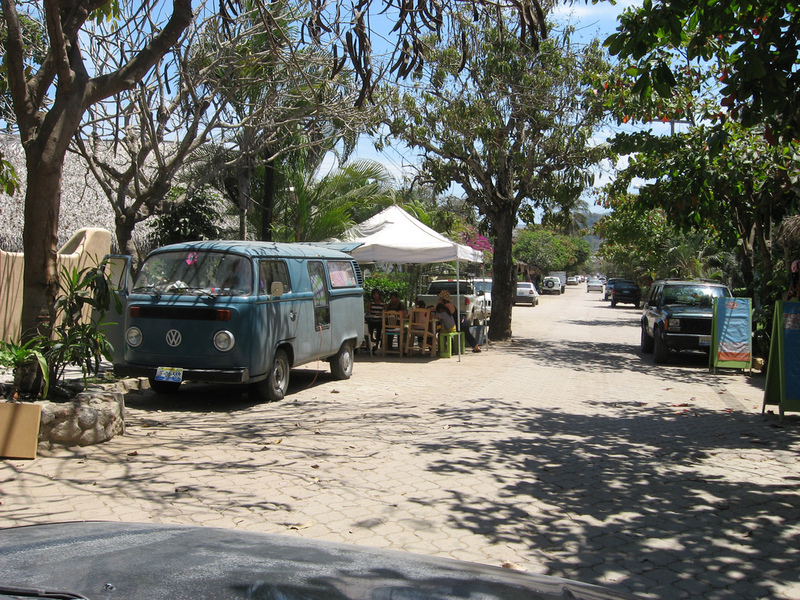 Overall the village offers a great balance of surf, dining, social ambiance but still quiet with hardly any traffic. 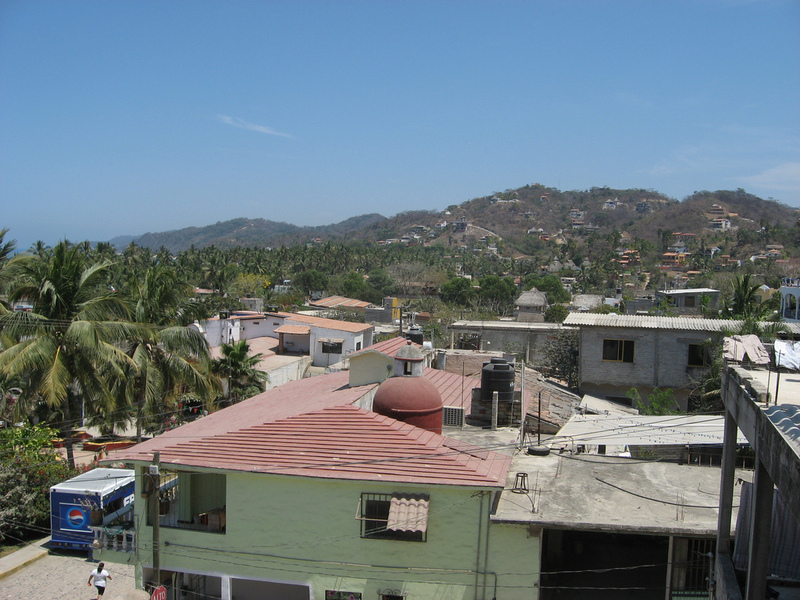 The small size of the Sayulita community makes it easy to meet people and make friends. 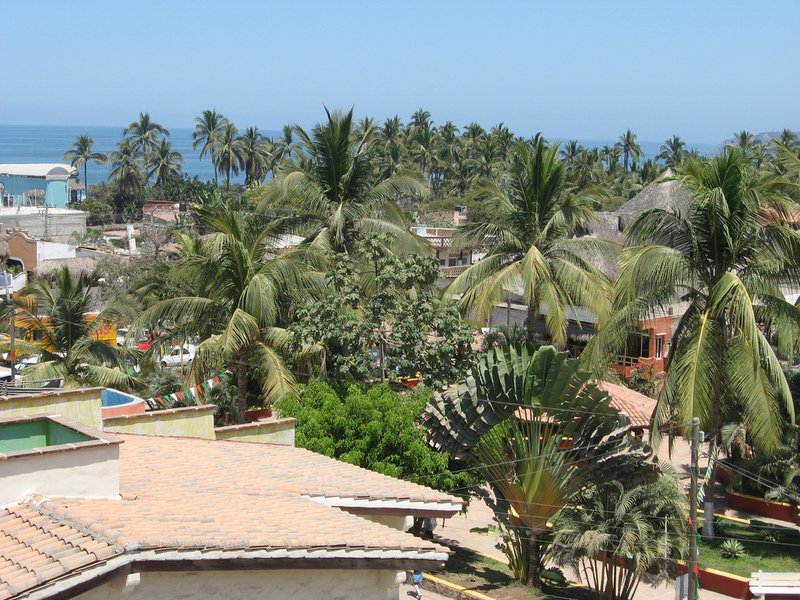 Everyone from retired financial planners to surf-hippies, to 30-something escapees seem to dwell in harmony along with peaceful Mexican families. 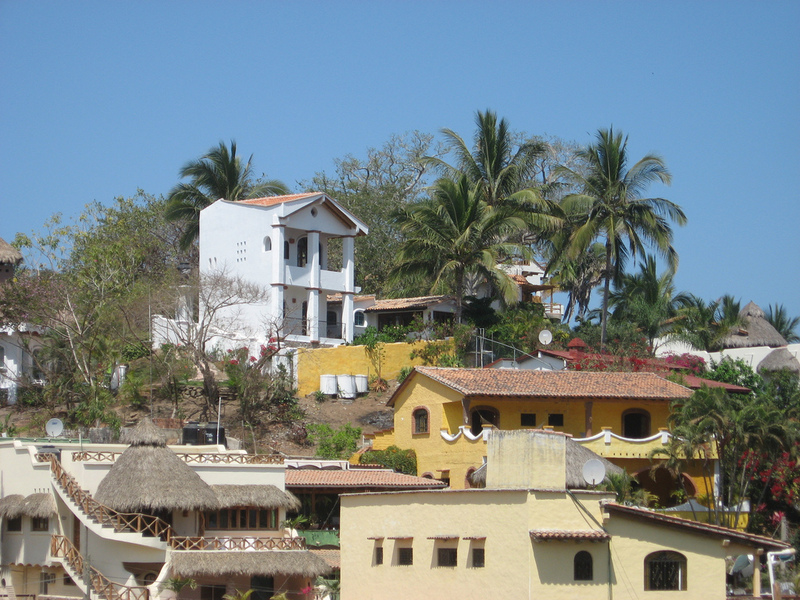 Gone are pesky street vendors, timeshare pushers, greedy taxi drivers and other annoyances you might find in Puerto Vallarta. 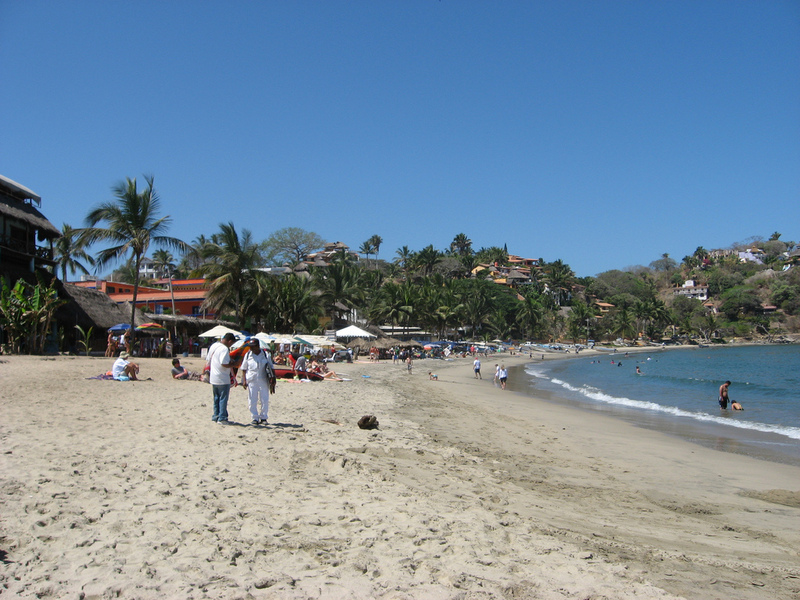 Located just 40 minutes from Puerto Vallarta international airport and all of the amenities provided by a large resort city, Sayulita is a world of its own. 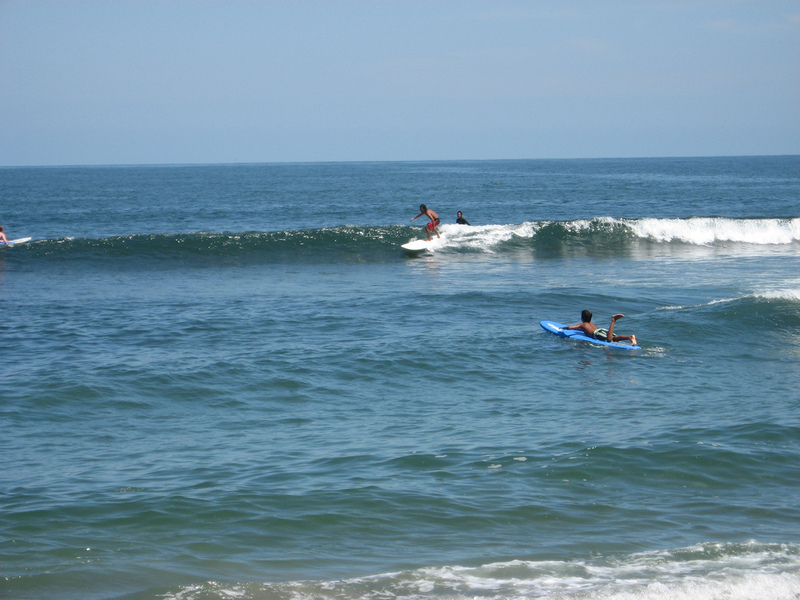 Did I mention the Southern California surf vibe circa mid-1960s? Beautiful palms, beachside beverages, what’s not to like? 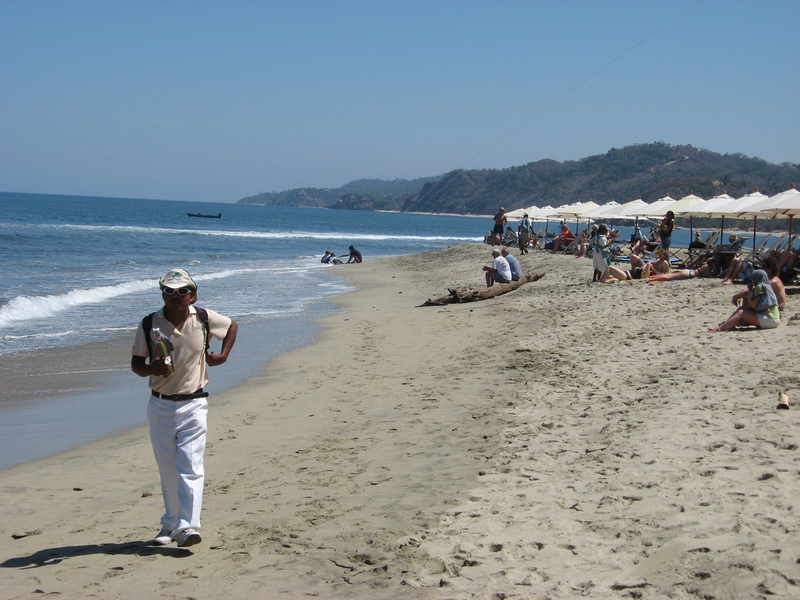 The beach vendors aren’t pesky in Sayulita, and there are very few of them. 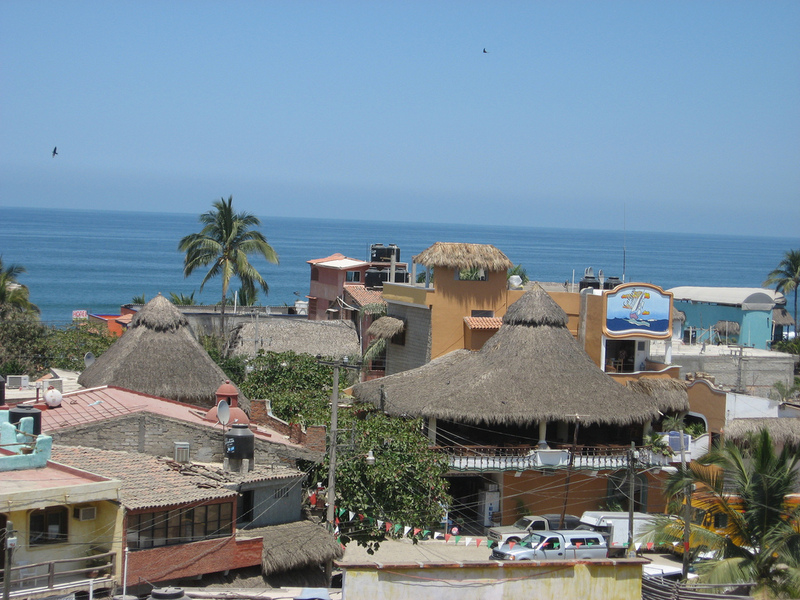 The surrounding hillsides are strewn with ocean view beach homes, and yes, I want one!